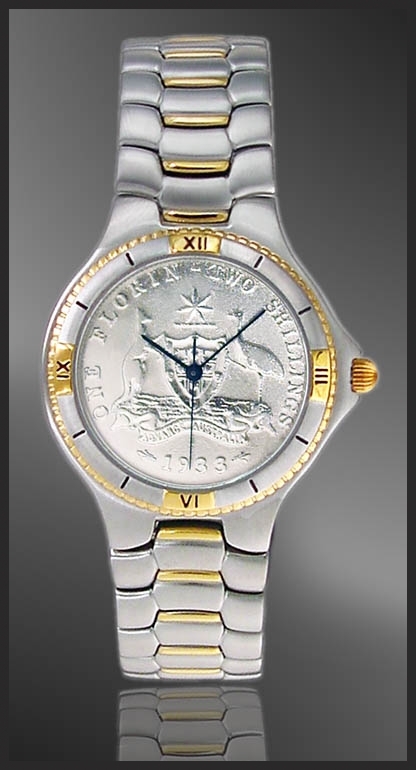 Coinwatch Brand Australian Florin mens coin watch. 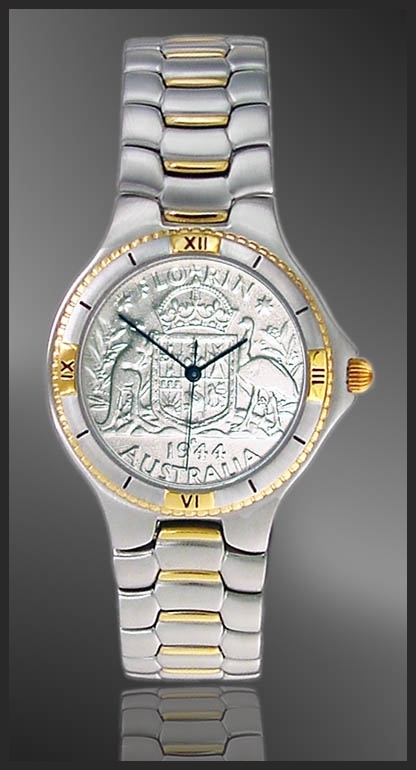 The dial is a handpicked genuine Australian issued reverse side of the Florin coin, featuring the coat of arms of Australia, as minted from 1911-1936. The face of the coin is enhanced with pure silver. A Swiss parts quartz movement powers each watch, which is secured within a stylish stainless steel case and bracelet. 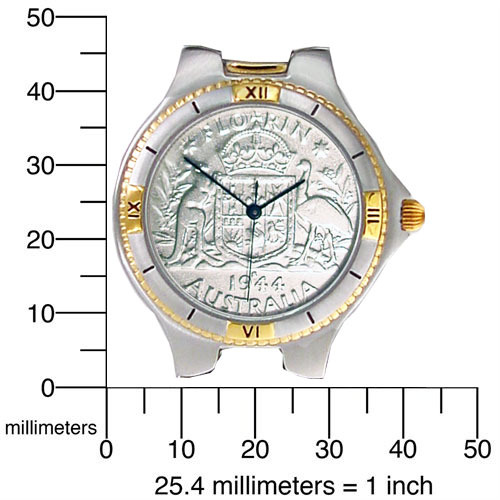 From the Australian Coinwatch company. The dial is a handpicked genuine Australian issued reverse side of the Florin coin, featuring the coat of arms of Australia, as minted from 1911-1936. The face of the coin is enhanced with pure silver. A Swiss parts quartz movement powers each watch, which is secured within a stylish stainless steel case and bracelet. 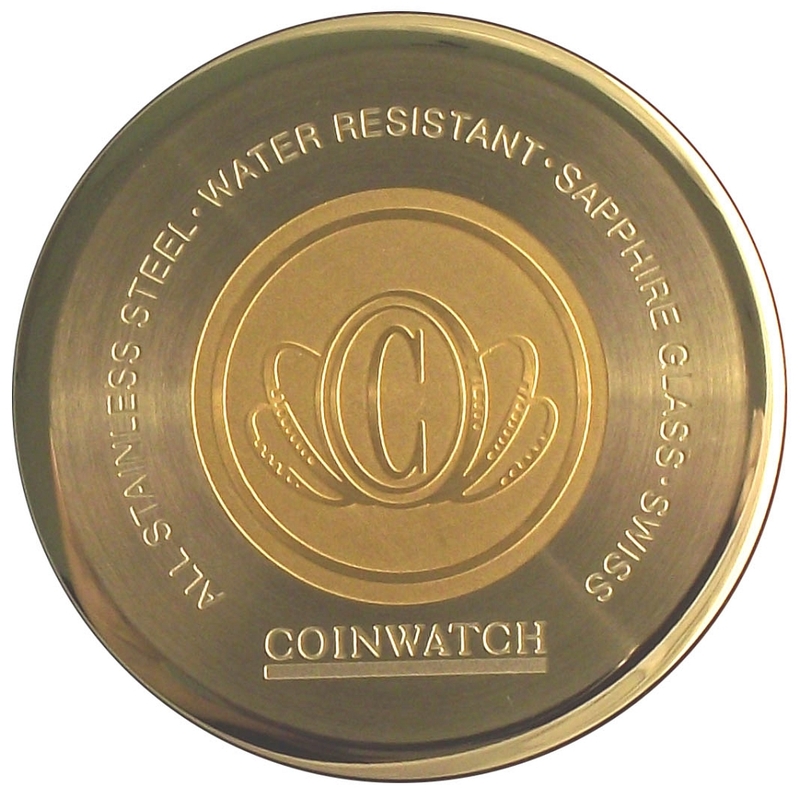 Each includes a lifetime warranty against defect from Aurista and is accompanied by a unique numbered signet and certificate of authenticity.